Subtitle: Part 1 - Attorney General Ashcroft is discovered using extraordinary police powers against American citizens -- not against Muslim terrorists. Further, Ashcroft is requiring his prosecutors across America to meet an infamous "Quota System" of terrorists they report apprehended every month. Pattern of Intimidation has now formed - you are the target. Surprise of all surprises! 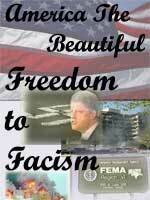 Just as Cutting Edge predicted in November, 2001, the FBI is using provisions of the Patriot Act against American citizens. When President Bush and Attorney General Ashcroft were demanding dictatorial powers immediately following the attacks of 9/11, we were warning that American citizens were the real targets and that the attacks were simply the scare tactic being used to gain those powers. Unfortunately, few Americans were willing and ready to listen to this truth, because they felt threatened, violated and angry because of the attacks. Slightly more than one year later, Ashcroft demanded Patriot Act II, which completed the process of allowing the Executive Branch to become an absolute dictatorship. Once again, the vast majority of people remained asleep, confident their freedoms were secure because the country had not fallen into obvious dictatorship since Patriot Act I was enacted and because nothing politically evil had ever befallen this great nation. Therefore, these naive sleepers, believe nothing bad will ever happen. However, this article should serve as a "Wake-up America" call. Ashcroft has now been caught using the powers of the Patriot Act against American citizens. Let us review the current news article and then go back in history to gain proper perspective. "Attorney General John Ashcroft recently went to Congress to herald another record year of fighting terrorism, showcasing numbers showing 310 defendants charged as evidence that 'the Patriot Act is al-Qaida's worst nightmare'. Few would argue about the nightmare part, but it is hard to see al-Qaida losing much sleep: To a large degree, Ashcroft has used anti-terrorism laws against citizens with no ties to al-Qaida or even terrorism. With many in Congress opposed to renewing parts of the USA Patriot Act, the 29-page report by Ashcroft attempts to show 'a mountain of evidence that the Patriot Act continues to save lives', but it omits critical facts that seriously undermine that claim. In fact, the report is part of an annual effort by Ashcroft to prod local prosecutors to bolster their terrorism numbers -- often by using terrorism laws against conventional criminals and a curious hodgepodge of nuns, protesters and artists." "... the 29-page report by Ashcroft ... omits critical facts that seriously undermine that claim." "... using terrorism laws against conventional criminals and a curious hodgepodge of nuns, protesters and artists." When Congress passed the draconian Patriot Act, we were assured that its dictatorial powers would be only used against Muslim terrorists. 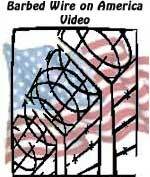 From the beginning, organizations like Cutting Edge warned that American citizens were the real targets of these powers and it would not take long to see Americans suffering under the legal weight of the Patriot Act umbrella. That time did not take long in coming, and this current article should raise warning flags all across this great land. However, this article tells us something we did not know before: Ashcroft has assigned a "quota system" to local and state prosecutors, demanding they arrest, apprehend, or otherwise harass a certain number of people per month, per year! This fact is unbelievable, for quota systems have always led to abuses, especially when the prosecutors have vaguely worded guidelines! A quota system is inherently dangerous simply because it forces people within the organization to carry out actions not really needed against citizens not really guilty, simply because their jobs are threatened by an unbending numbers quota system. How many times have I heard it said that local and state police officers are only handing out traffic tickets because they need to fulfill a quota? A political quota is much worse. Since the above paragraph illustrates a quota system extremely well -- using the Vietnam War as an example -- let us examine the aspects of the Vietnam Body Count quota system which operated throughout much of that war. 1. Americans who paid any attention to the Vietnam War knew of the deadly political quota which the American high command established to be a barometer as to how well we were "winning the war". Bogus accounts were published day after day of enemy "body counts", supposedly those Viet Cong and North Vietnamese regulars killed the previous day. In many cases, American and/or South Vietnamese commanders simply doubled or tripled the body count of the enemy lying on the field following a battle. In other cases, innocent civilians were wantonly murdered so they could be tallied as "Body Count". Do you doubt this? 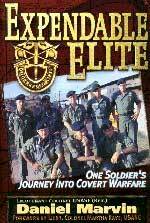 Listen to a personal, eyewitness account of Colonel "Dangerous Dan" Marvin. Marvin, at the time of this account, was fairly new in Vietnam and was a Captain being ferried by armed helicopter to his new assignment. Marvin was Special Forces, Green Beret, and considered the best of the best. But, he was terribly naive, as this account demonstrates. Enroute to his new assignment, Marvin suddenly felt the copter lurch toward the ground in a steep dive. "I leaned out of the door to see what was ahead on the ground. No sign of VC, just a bunch of unarmed peasants working their rice field. Men, women, and children, maybe 20 in all, with two water buffalo, were toiling away and showing no outward sign of concern about our approach. Suddenly, both door gunners began firing their machine guns at the people on the ground, spraying the area with hundreds of deadly rounds. I watched helplessly as some of the peasants were hit and spun around or knocked down by the force of the bullets, to fall in grotesque heaps on the shallow water below. Others, attempting vainly to outrun the hail of machine gun fire, were hit in the back and propelled forward by the impact to fall down in the paddy. "We began to circle. Convinced they'd knowingly killed innocent people, I wondered if they were going back to make certain there would be no witness to the carnage. Looking far ahead as the chopper slowed to about 40 miles per hour and dropped closer to the ground, I saw only motionless bodies scattered around the bloodstained rice patty ... I motioned for a helmet with its headset from the nearest gunner and it was handed me without hesitation. I used it to shout my message to the pilot, 'What's going on, Colonel? Your men just gunned down unarmed peasants, even women and children. Are you crazy'? " This is the ultimate end result of body count in a time of war. We are in a "War On Terror", and Ashcroft wants body counts? When his field of battle is Domestic America and the term, "terrorist" is so vaguely defined, the situation is ripe for disaster -- just as the plan calls for. 2. Referring back to the news story, above, we see the rather ordinary American citizens whom Ashcroft's prosecutors are sweeping up in their "War on Terror" in search of "Body Count". "curious hodgepodge of nuns, protesters and artists." How can this be? How can ordinary citizens like these be arrested, tried and even imprisoned according to a Patriot Act we were told would only be used against nasty Muslim terrorists? If you had been a Cutting Edge reader during the 9/11 attacks, you would have realized that, in October, 2001, just weeks after the attacks, the Bush Administration redefined the term, terrorist, so that anyone whom the government considers to be an enemy may be labeled as "terrorist"! NEWS BRIEF: "[Homeland Security Chief] Ridge Vows Balance of Rights, Security", by Peter Jackson, Associated Press Writer, The News-Item, October 3, 2001. "To those Americans who would lash out at your fellow citizens simply because they worship differently, or dress differently, or look differently, than you, there is a word for such behavior -- terrorism. And it must stop." When we read this article, sent to us in the original by Dr. Cathy Burns, we immediately wrote a Headline News article warning Americans that our unrepentant Skull & Bones President, George W. Bush, was leading this country into the absolute dictatorship of the New World Order. And, let me tell you truthfully, we are really sorry that we are now proven correct! Can you imagine the intimidation which must be felt by all dissidents at this moment? Not even the power of the Roman Catholic Church is enough to shield you should Ashcroft's FBI decides to come after you. We may also have seen the last of the huge, violent protests, as every leader and every participant might be redefined from American citizen to terrorist. The only large, rowdy protest you are likely to see now is the type sanctioned by the government (See NEWS1762). NEWS BRIEF: "The Summary Execution Issue", From Robert Anderson, top_view@planetmail.com, Top View News, 8-15-2002. "On Monday morning (August 12) I found a Reuters story on ABC News online news-wire, which stated that the White House had quietly announced summary executions of certain persons designated as 'terrorists' by Bush or other high-ranking Bush (Administration) members HAD BEEN given the OK. So: ONLY the SAY-SO of Bush people, in other words, is sufficient to incur the MURDER of whomever is so designated, by OFFICIAL US government policy. 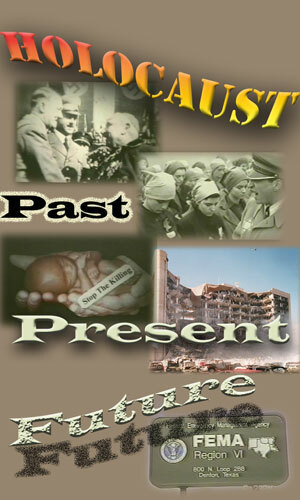 No evidence whatsoever need ever be presented to ANYONE, that the person so designated IS in fact a 'terrorist' at all. This Reuters article indicated that the directive applied both abroad AND at home in the U.S. ... on Tuesday evening associate Mark Jahnsky found an item on the Washington Post website which reported that a CIA spokesperson said the agency HAD been given the 'green light' (the Post's words) to carry out summary executions or assassinations of certain persons whom Bush ... claimed were 'terrorists'." Attorney General Aschcroft also is busily planning for his role in the coming dictatorship. 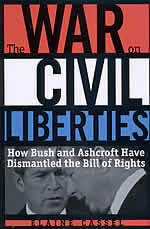 NEWS BRIEF: "Camps for Citizens: Ashcroft's Hellish Vision -- Attorney general shows himself as a menace to liberty," latimes.com, August 14, 2002, Commentary by Jonathan Turley, Professor of of Constitutional Law at Georgetown University. "Atty. Gen. John Ashcroft's announced desire for camps for U.S. citizens he deems to be 'enemy combatants' has moved him from merely being a political embarrassment to being a constitutional menace. Ashcroft's plan, disclosed last week but little publicized, would allow him to order the indefinite incarceration of U.S. Citizens and summarily strip them of their constitutional rights and access to the courts by declaring them enemy combatants ... Ashcroft has become a clear and present threat to our liberties." As if this is not enough to keep you sleepless at night, did you know that the Bush Administration is planning to use a Civil War Seditious Act against citizens? This wording, "put down" is a wide open loophole that the Federal Government can drive an 18-wheeler truck through! Literally, this provision can mean anything officials want it to mean. When organizations like Cutting Edge forcefully point out the unpleasant fact that this President is leading us to the worldwide dictatorship of the New World Order -- the Kingdom of Antichrist -- does this mean we can be arrested and accused of "putting down" the government of the United States? Of course, it means just exactly that. Just in case you might not be convinced of this reality, please give close attention to additional insight provided a little later in this article. Using this law, the government can begin to crack down on those people whose only "crime" is criticizing the government! As you can see from some of these old articles we have quoted, President Bush and Attorney General Ashcroft have quietly been laying the foundation for our coming dictatorship for a very long time. The current Times Union article on which this article is based is simply reporting the logical end result of all this planning to bring down our government once the next crisis hits. After all, retired Army General Tommy Franks told us in November, 2003, that our Constitution would not survive the next terrorist alert. How soon might this next crisis hit? That is the subject of Part 2, "America Under Orange". Truly, the End of the Age is rushing upon us all. Are you spiritually ready? Is your family? Are you adequately protecting your loved ones? This is the reason for this ministry, to enable you to first understand the peril facing you, and then help you develop strategies to warn and protect your loved ones. Once you have been thoroughly trained, you can also use your knowledge as a means to open the door of discussion with an unsaved person. I have been able to use it many times, and have seen people come to Jesus Christ as a result. These perilous times are also a time when we can reach many souls for Jesus Christ, making an eternal difference.